Sometimes, your dad buys a 5 1/2 pounds of Lindt Piccoli dark chocolate, and you just have to find a use for all of it. You know, in case it goes bad. And because you know that it might be gone in a week and a half. I had been thinking about these blood orange chocolate cupcakes for a long time–the flavor combination is classic, but for some reason, in these cupcakes, it really comes off fabulously. Of course, I didn’t actually want to buckle down and go through the hard work of making cupcakes. 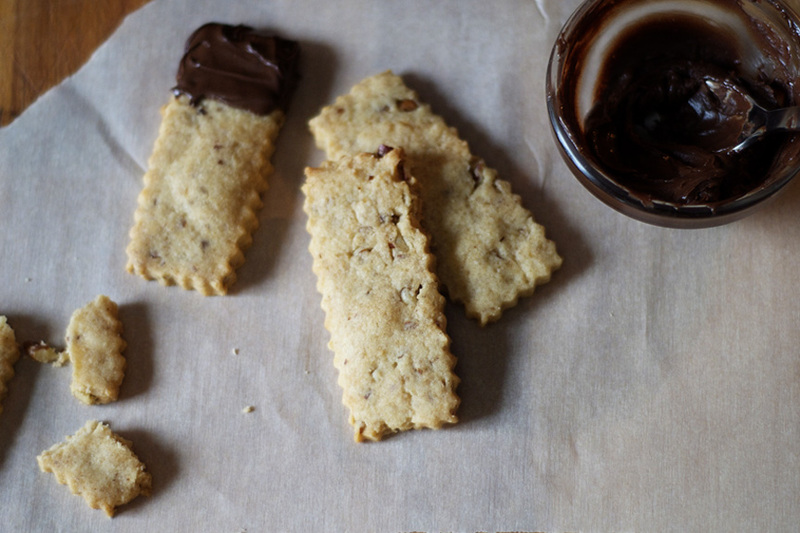 Why cupcakes, when drop cookies of the same flavor combination are just that much simpler? The answer, of course, is that sometimes, cupcakes are the only thing. But not today. 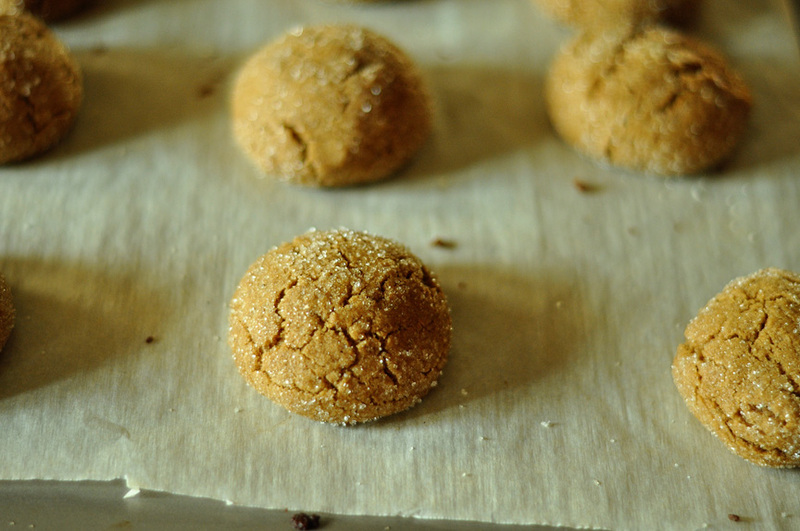 These cookies are soft and flavorful. They have a caramel-ly flavor that melds interestingly with the chocolate and orange. Kind of like the orange has been brûléed with brown sugar. Everything should be brûléed with brown sugar. I am not wrong. Tricks of the trade: you can zest citrus fruits IE ORANGES and store the zest in a plastic bag in the freezer for later use. It saves time, and you can bust it out on days when you need some flavor, but don’t want to skin your knuckles. Heat a small saucepan over medium-low heat and add the butter. Cook butter, swirling occasionally, until small brown bits appear on the bottom of the pan – about 5-6 minutes. When the butter turns brown and smells nutty, immediately remove from the heat, whisking for an additional 30 seconds or so. Pour into a large bowl, scraping out all the brown bits, and let cool. In a bowl, combine flour, salt, baking powder, oats, zest and cinnamon, mixing to combine. Once the butter is cool, whisk in sugars, stirring until smooth. Add in the egg and vanilla, whisking until smooth. Slowly stir in dry ingredients, using your hands to bring dough together, if necessary. If you find that the dough is too crumbly, add in milk 1 tablespoon at a time. 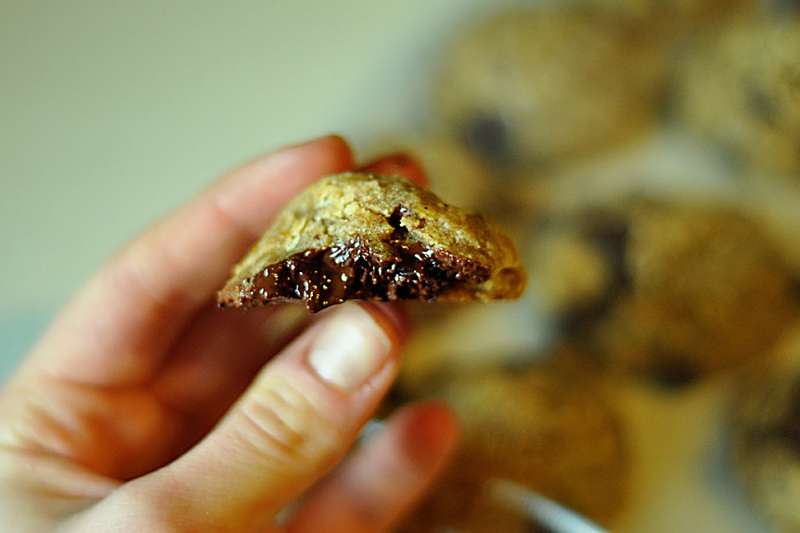 Fold in the chocolate chips, distributing them evenly. Refrigerate dough for 30 minutes. Preheat the oven to 375 degrees F. Using an ice cream scoop or your hands, form dough into 1 1/2 inch balls. Place about 2 inches apart on a nonstick baking sheet, then bake for 10-12 minutes, or until bottoms and edges are golden. Let cool before serving. People do these “recipe roundups” sometimes, so I guess I will. Plus, I have been lazy on the photography for, oh, about a year or two, so I have nothing decent to show you. Also, I have never once in three years figured out (or bothered to take the time to figure out) why some links on this blog show up in purple like they’ve already been clicked. I hope this doesn’t bother you. It does me, but clearly not enough. Leftovers. Extremely useful when re-purposed correctly. In the case of these orphaned Christmas cookies, the correct re-purposing was in a cookie crust for a half-classic custard tart. 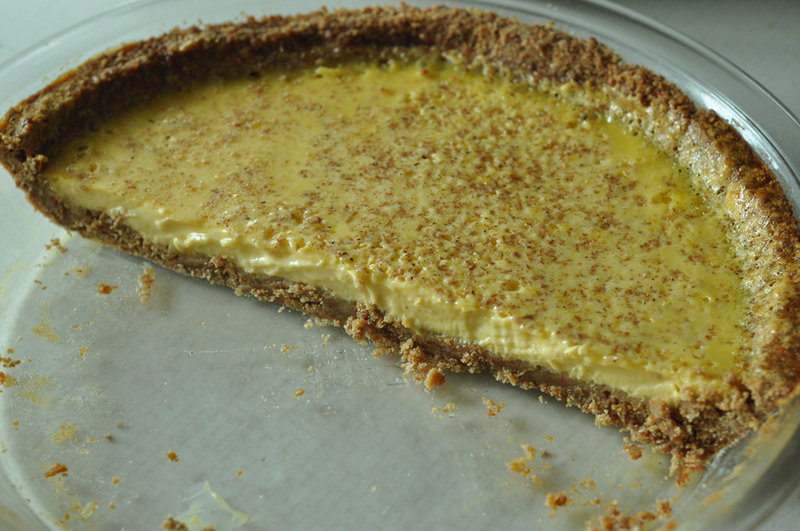 The custard and my carelessness were classic, not the crust. I crunched up the cookies (all sorts here, gingersnaps, sugar cookies, Mexican wedding cookies) with some sugar, flour, butter and pre-baked it all together in one big mess. 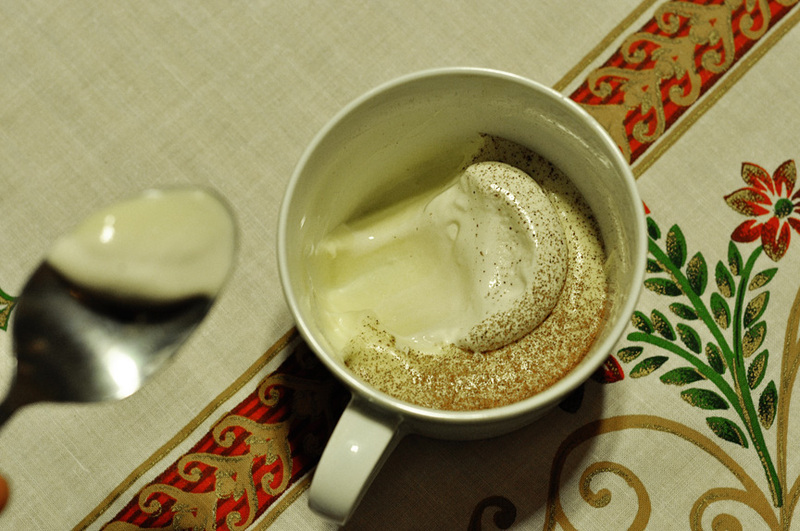 I proceeded to whisk the eggs a little too hard and failed to skim the cream, so my custard had odd bubbles atop it. Clearly, I was in fine form. Who even know what I was distracted with…picking my cuticles? After a quick cleanup, I chilled it and served it. It turned out fine, but please skim your custard and leave it be once in the oven. Things will turn out a lot prettier for you. At least I used up the leftovers, a very old and foundational pipe dream for me. Preheat the oven to 350 degrees. Pulse together the cookie crumbs, flour, salt and sugar in the bowl of a food processor. Add the melted butter and pulse until large clumps form. Press the crust firmly and evenly into the bottom of a 9-inch pie pan, pressing the crust up the sides of the pan. Put the pan on a rimmed baking sheet. Bake for 10-12 minutes until the crust just starts to brown. Remove from the oven, reduce oven heat to 265 degrees and let cool while you make the custard.Place the cream and milk into a medium saucepan and set over medium heat. Add the vanilla extract and bring the cream to a simmer. Place the egg yolks and the sugar into a bowl and whisk together. 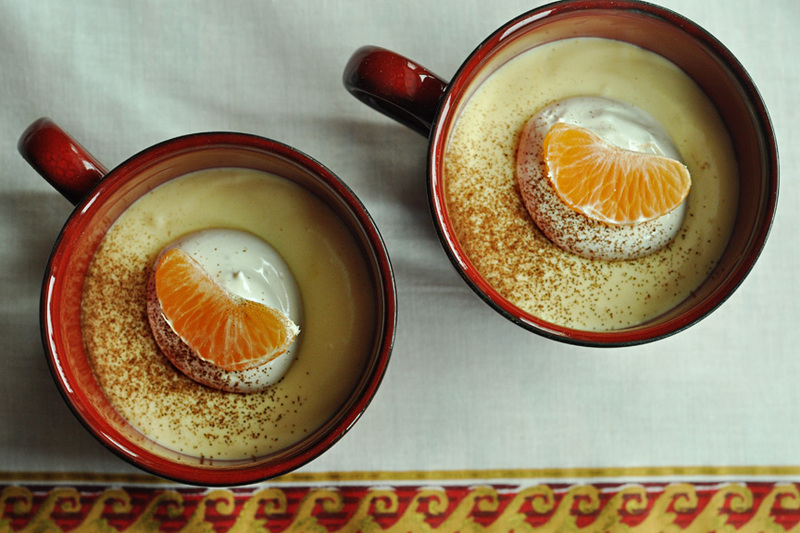 Pour the hot cream over the yolks, whisking constantly. 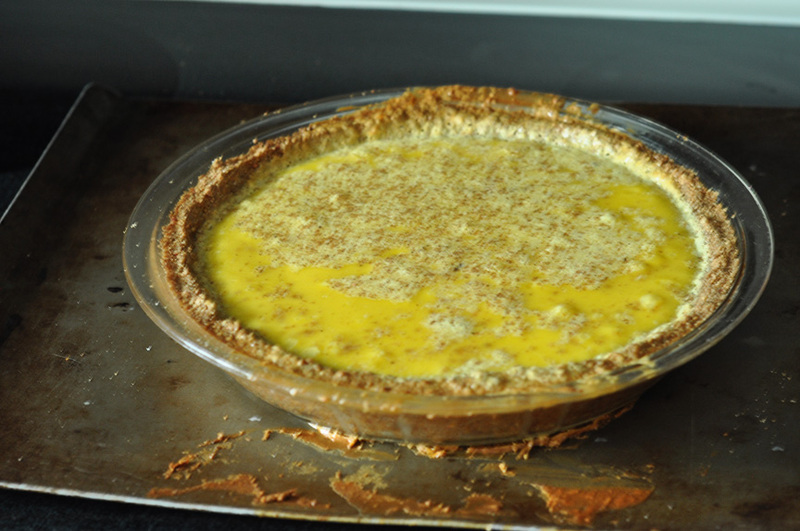 Place the crust in the oven and pour in the custard. 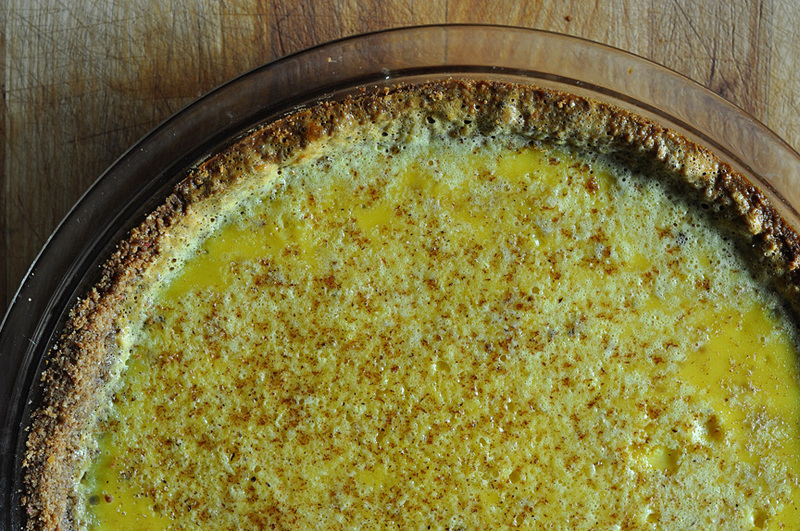 Grate or sprinkle the nutmeg generously over the entire tart and then bake for around 30-40 minutes or until set around the outside but still with a little wiggle in the middle. 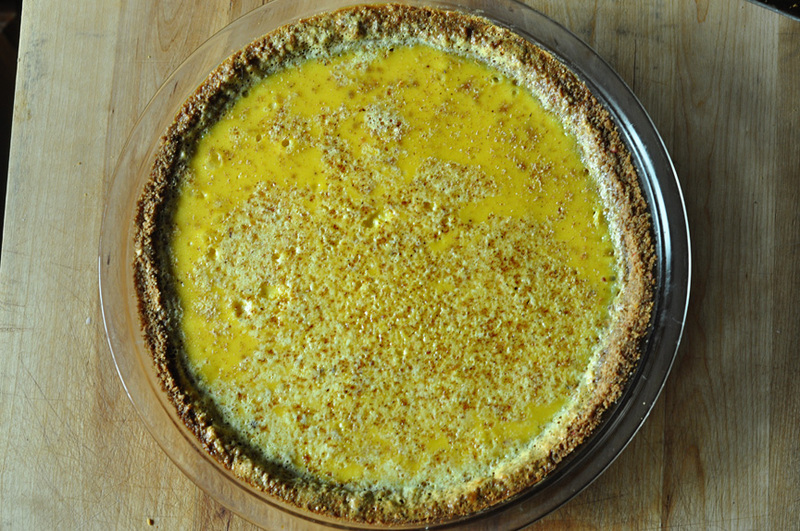 Allow the tart to cool fully before trimming. Serve warm or at room temperature and store in the fridge. 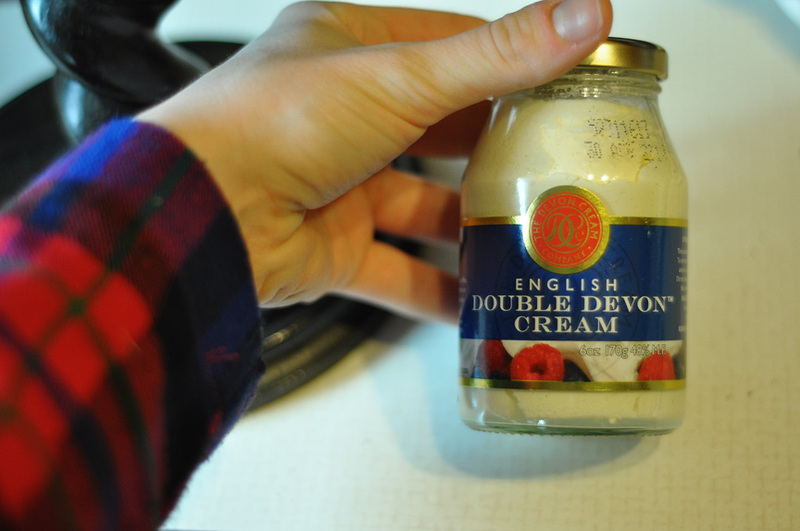 Too long have I waited to bust out the jar of Devonshire cream biding its time in my pantry. I wanted to consume it it just the right moment. There is a time for every matter under heaven, and I knew that the right time for this would be with my mother (whose love of Devonshire cream is laced with both childhood nostalgia the unrealized dream of being born British) and the most classic of classic British cream scones. And also tea. The only thing that could possibly make these scones more classic is if they included currants instead of dried cranberries (the next best thing), but they are so similar. I won’t tell if you won’t. 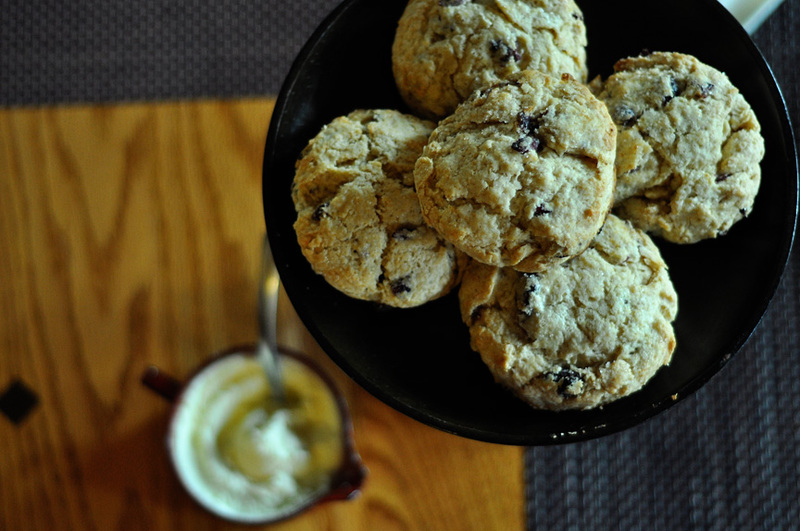 They are tender and rich and absolutely perfect with a slather of Devonshire cream. If you don’t have any, you can always make mock Devonshire cream (the next best thing) by whipping softened cream cheese with heavy cream and a little bit of sugar. Or you can eat them warm with butter and jam (the next best thing). Above is the hallowed gifted jar, and also, an excellent flannel. Thirty minutes and you will be on your way to the next best thing. Place the flour, baking powder, sugar and salt in large bowl. Whisk together. Use two knives, a pastry blender or your fingertips and quickly cut in the butter until the mixture resembles coarse meal. Stir in the dried cranberries. Stir in the heavy cream with a rubber spatula until a dough begins to form. Knead dough by hand on a countertop just until it comes together into a rough ball. Form scones by patting the dough into a 3/4-inch thick circle and cutting out rounds with a glass or biscuit cutter. Pat the scraps into a circle to form one last scone. 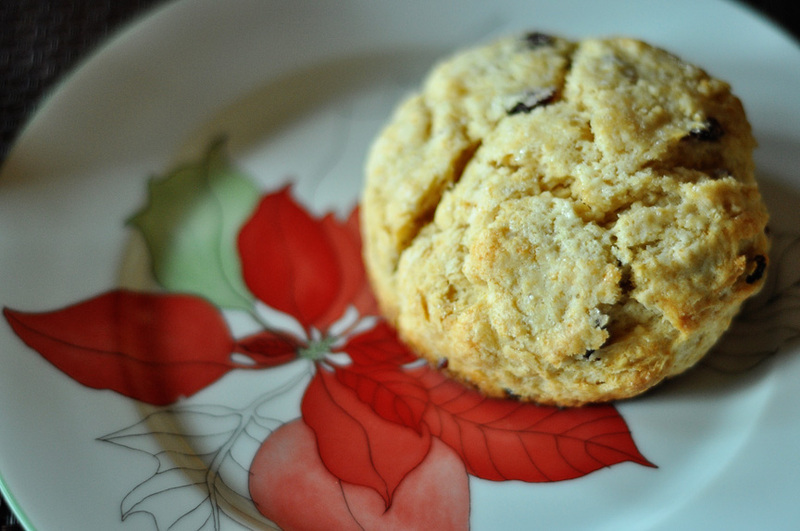 Place rounds or wedges on a parchment-lined baking sheet and bake until scone tops are light brown, 12 to 15 minutes. Cool for a few minutes, and serve with Devonshire cream or a pat of butter. 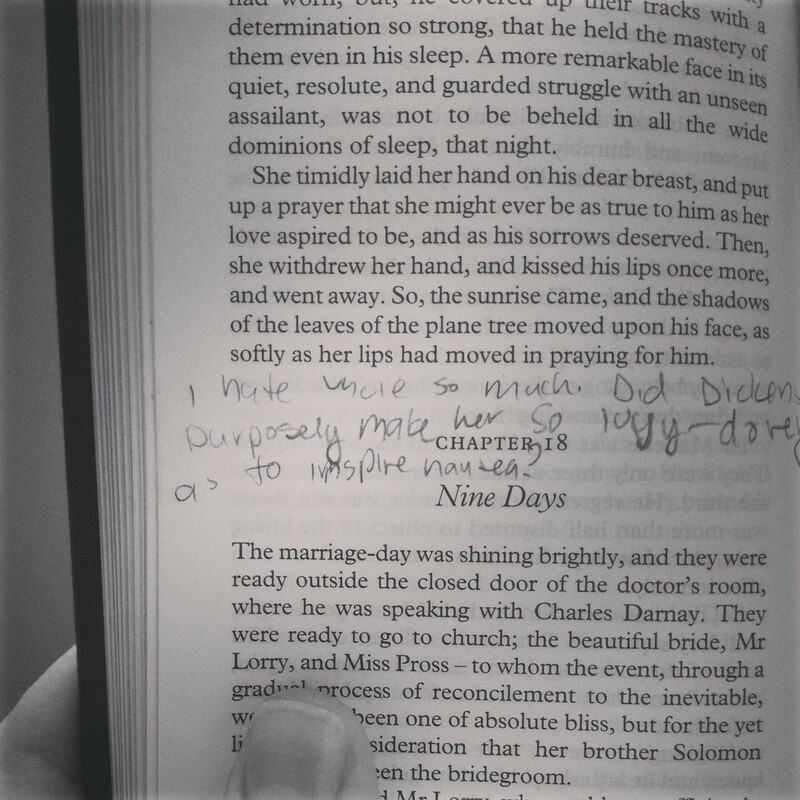 Used books make for a more interesting read. Soft-batch cookies are it. Crispy exterior giving way to underbaked, chewy goodness within? Sign me up immediately. These are them, and they are good. They even include beurre noisette, or brown butter, as the commoners like to call it. But I still love these, my ginger soulmates, better. I viewed this recipe as a dubious deviation from my first love, and it wasn’t a fail, just an anticlimax. The brown butter flavor wasn’t that obvious. The key to great soft batch cookies is to chill the dough. At least, that’s what a lot of other, smarter food bloggers say. 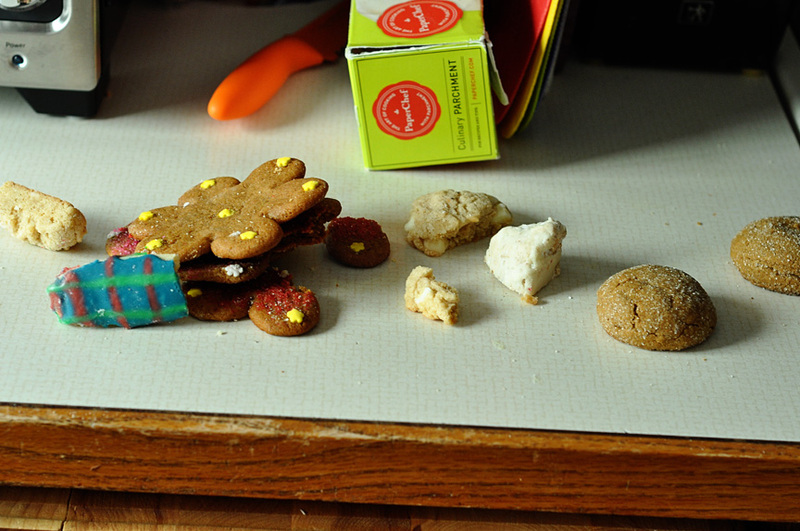 Amazingly, I didn’t chill these, and the cookies didn’t even spread out that much. In fact, I think they could have used a little more spreading in their lives. More spread, more beurre. Place butter into a small saucepan over medium heat. Cook, swirling occasionally, until browned and nutty, about five minutes. Remove from heat and let cool for 15 minutes. Scrape the cooled brown butter into a stand mixer or large mixing bowl. Add the coconut oil, brown sugar, molasses and egg, beating on medium until well combined. Slowly add flour, baking soda, salt, cinnamon and ginger. Mix until just combined. 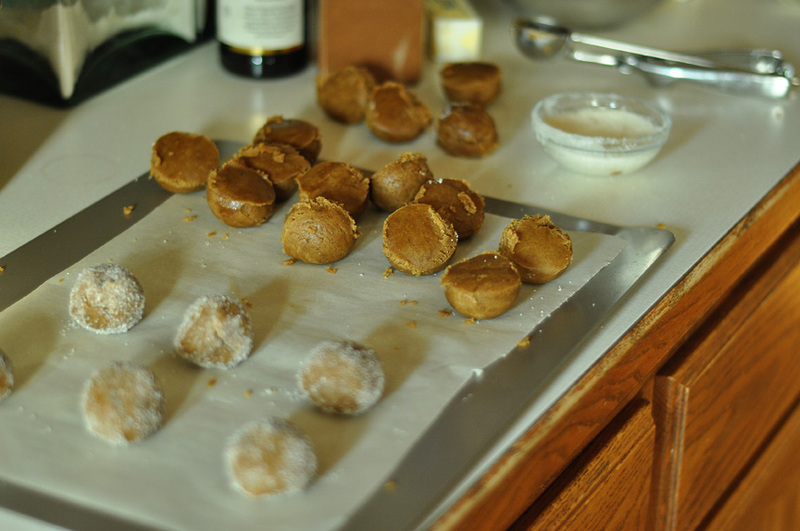 Roll heaping tablespoons of dough into balls and roll in the granulated sugar. There are two kinds of people in this world, the complicated and the simple. There are two kinds of people in this world, those who try to complicate things and those who try to simplify things. Actually, I have no idea if this is true, I’m just trying to make this baking blog post controversial and postmodern, or something. Nothing means anything, anything means nothing. Never mind. Don’t listen to me. I was raring to make a dessert for a family dinner one day, and as per usual, I couldn’t decide what to make. 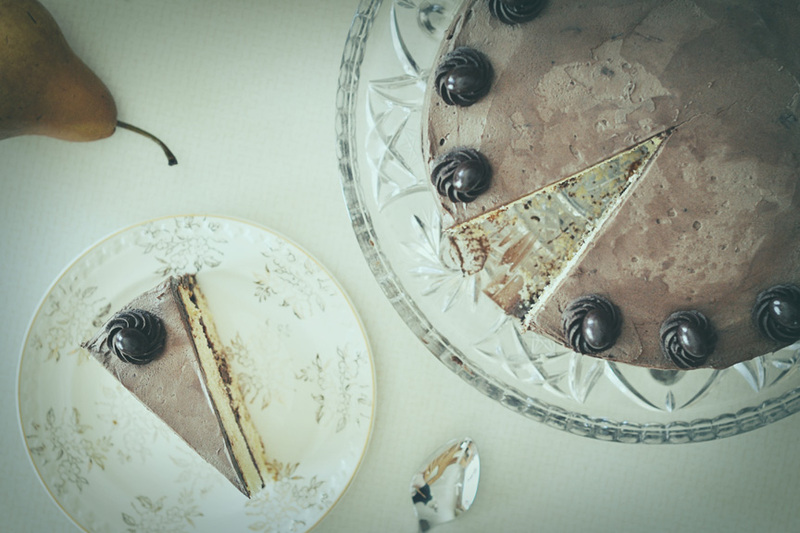 In my dithering and decision, I could only chant the words,”white chocolate, white chocolate, white chocolate” to myself internally and try to come up with something that would be simple and satisfying and uncomplicated. Because I try and simplify as much as possible. I just try et. But this night was not having any of that nonsense. A few minutes after completing what looks like a white chocolate pudding (but is far superior both texturally and flavorfully), I found myself swiping, sprinkling and swirling until I was satisfied with the final product. So what started out as a no-fuss family dinner dessert morphed into a semi-carefully plated gourmet taste experience sweet course with a deconstructed, elemental title, for which I apologize. I apologize for the title, that is. I hope I have not deluded you into believing that I am too fancy pants for life. 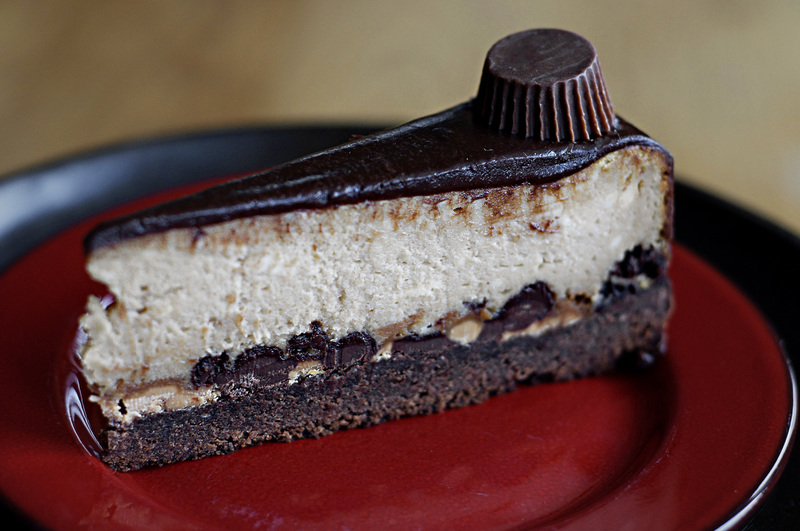 You can make this. 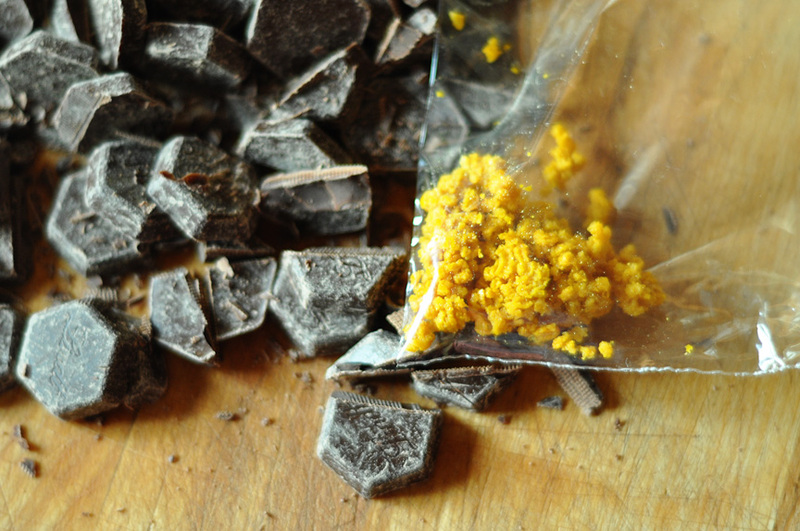 White chocolate is a wonderful foil for all sorts of flavors. Pick a fruit, you can’t really go wrong. Place the finely chopped white chocolate in a large bowl and set aside. In a second bowl, add the egg yolks and sugar, and whisk until pale in color. In a small saucepan, bring 1/4 cup of heavy cream to a low simmer. Remove from the heat and very slowly add the cream into the yolk and sugar mixture, whisking constantly. Pour the creamy mixture back into the pan over low heat and continue to stir with a wooden spoon until slightly thickened. It should coat the back of the spoon. This won’t take long. Pour the hot mixture through a fine mesh sieve placed directly over the bowl with the chopped chocolate. Whisk until completely smooth. Whip the remaining 1 cup of heavy cream to stiff peaks with a mixer. Fold the whipped cream into the white chocolate mix spoonfuls at a time carefully until combined. Do not over fold. Spoon the white chocolate mousse into serving cups and refrigerate until set, approximately 1 hour. To make the meringue, whisk one egg white together with the sugar in the bowl of a stand mixer set over a pot of simmering water. Heat, whisking occasionally, until the sugar is dissolved and the mixture is warm to the touch. Transfer the bowl to the stand mixer and beat until the meringue is white and glossy and doubled in volume. Beat in the coffee to taste. 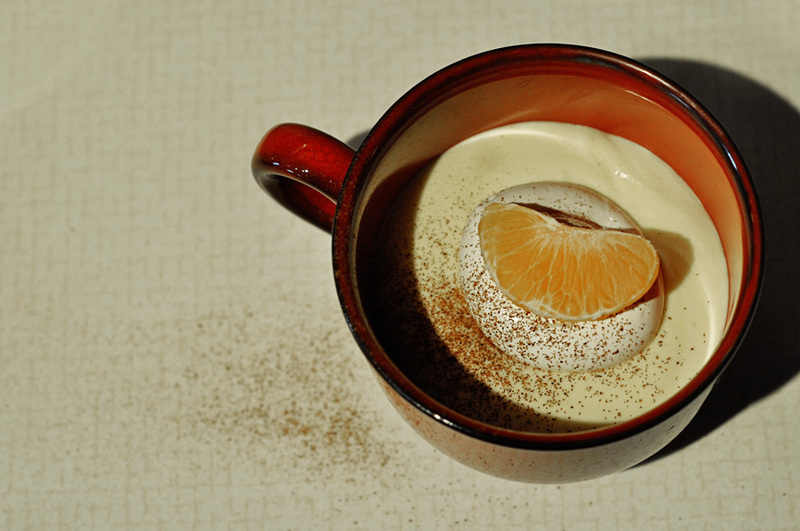 Garnish the chilled mousse pots with a dollop of meringue, a sprinkling of cinnamon and a segment of clementine.